Themes by Thomas Rhodus are always super clean, beautiful, well documented, and dependable. There are a bunch of options when it comes to this theme, but we tested out the business concept- we weren't disappointed. 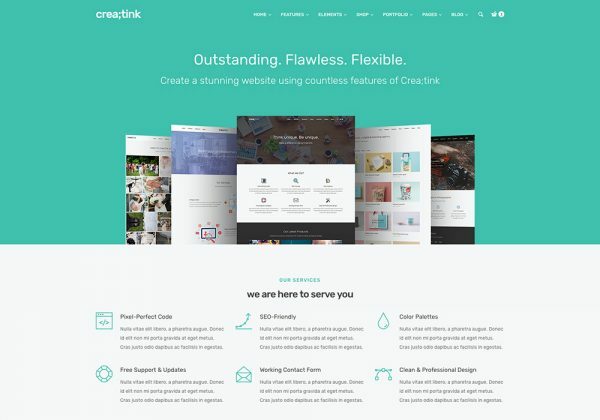 The theme features everything you need to create simple, elegant layouts without any hassle. A lot of WordPress themes claim to be multi-use or multi-purpose, but sometimes they fall short. I can honestly say this one has every feature you could ask for, including countdown times, great header layouts, and a beautiful shopping layout. This theme is on our list of favorites!